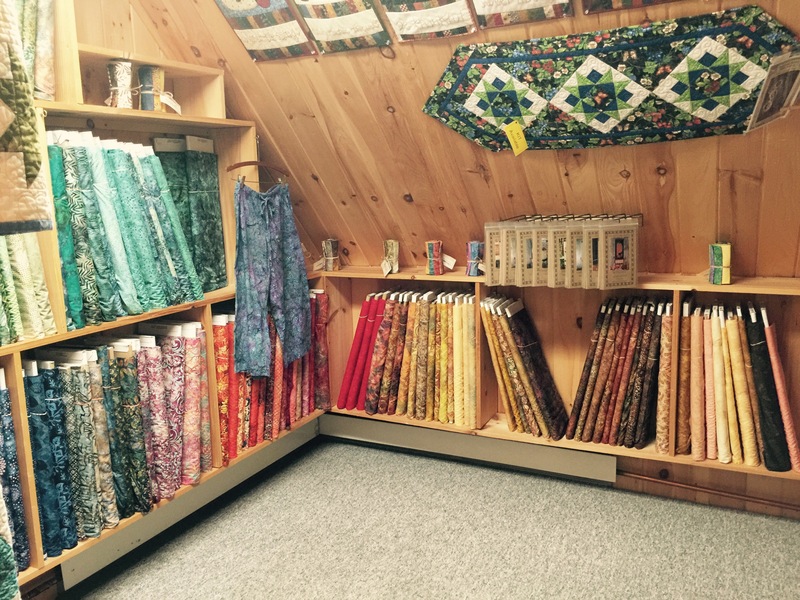 Threads Galore is an awesome and welcoming quilt shop in the western lakes region of Maine. I have been coming to this shop for 15 years and am always delighted with my visit. 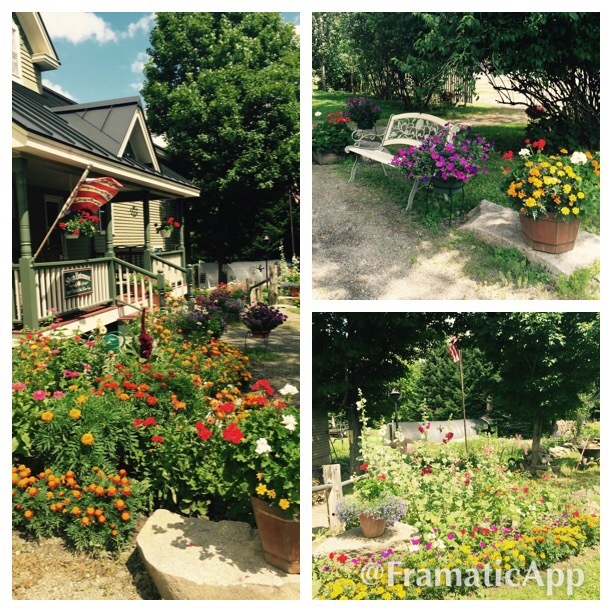 Upon arrival you are immediately greeted with the sights and smells of their beautiful flower gardens. Today, the scent of bee balm was especially distinct and pleasant. The warmth of the shop continues as you enter the side porch of their home, where country rockers await the husbands who don’t plan to shop. 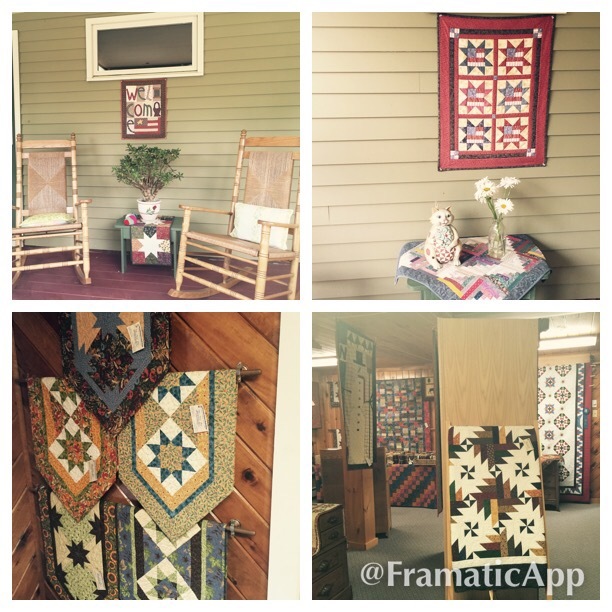 The first room upon entering the shop features homemade quilts for that the owners and other area quilters have made. They used to do long arm quilting, but I believe now that the long arm is reserved for their quilts for sale and for traveling exhibits. 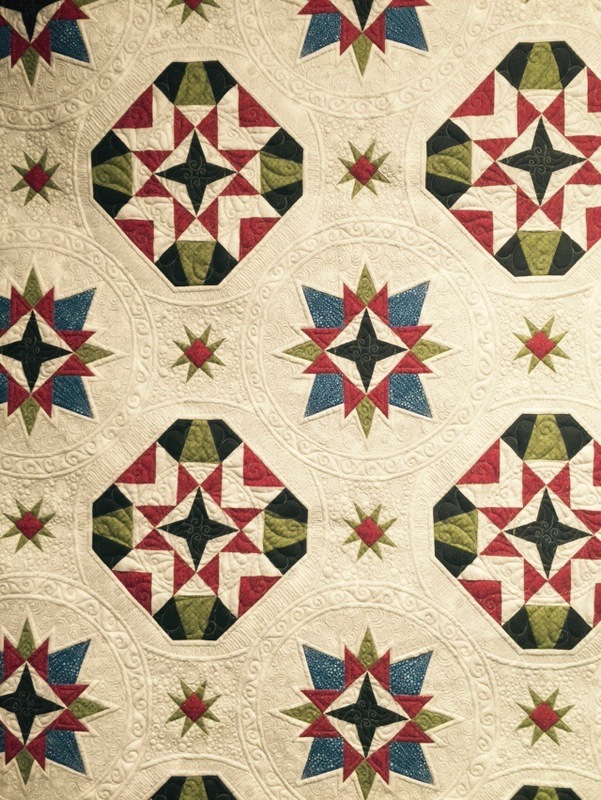 The quilting on this one is phenomenal. Now that I do long arm quilting I have a new appreciation for the effort this requires. Up a few stairs is the main shop. They feature a selection of fabric, patterns, kits and notions as well as beautifully made shop samples. The fabric tends to skew a little more country than I usually buy, but I did notice more modern colors than in years past. 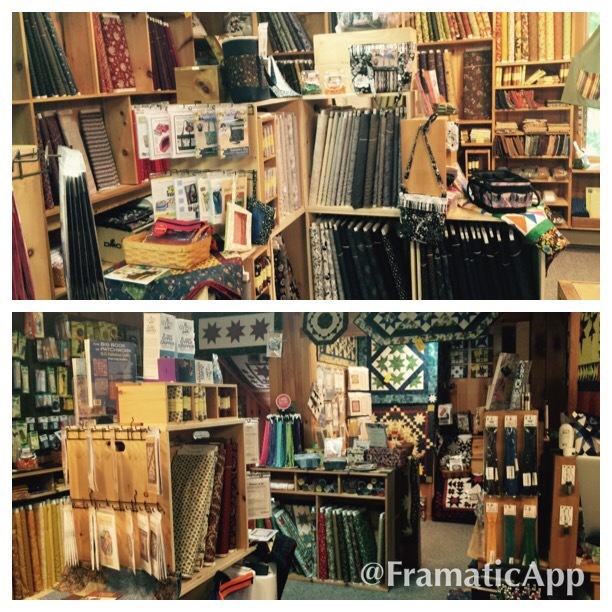 There is also a little side room that has batiks and some sale fabrics.